Is the VTech MobiGo Bundle MobiGo on your little princesses wish list this holiday season? 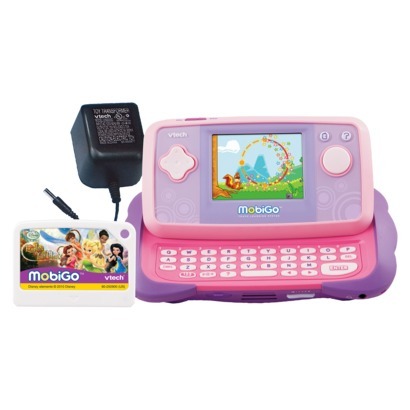 If so TODAY ONLY, you can avoid the holiday crowds and purchase this VTech MobiGo Bundle MobiGo, Fairies & Adapter for $64.99 Shipped (13% savings). I LOVE internet shopping this time of year!